Christina Unkel Joins Maglio Christopher & Toale, P.A. SARASOTA, FL — (January 23, 2015) – Maglio Christopher & Toale, P.A. announces the addition of attorney Christina E. Unkel. Ms. Unkel comes to the Firm with an impressive background in both the legal and professional sports worlds and will focus her practice on business law and complex litigation. Unkel is currently an active FIFA Soccer (football) referee and officiates professional matches internationally. Her experience in the sports industry includes working with athletes, coaches, agents, and international businesses at the prestigious sports training center, IMG Academies. She was an NCAA scholarship-athlete herself and currently acts as a legal representative to student athletes navigating NCAA eligibility requirements. Ms. Unkel is a member of the Judge John M. Scheb Inn of Court and the Sarasota County Bar Association (“SCBA”). 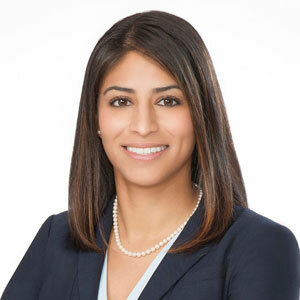 In the SCBA, she serves as the Chair of the SCBA Awards Committee, Chair of the SCBA Diversity Committee, and sits as a Board Director for the SCBA Young Lawyers Division. Additionally, Mrs. Unkel has recently served as the President of the Sarasota Area Sports Alliance, as an Adult Partner with Sarasota’s Community Youth Development, and as an advisory board member of the Visit Sarasota, Sarasota County Sports Commission. Mrs. Unkel was born in San Diego, California and raised in Cape Coral, Florida. She now resides with her husband in Sarasota, Florida. Mrs. Unkel is fluent in Spanish. Unkel will work out of the firm’s Sarasota, Florida office. She is admitted to practice before the courts of the State of Florida, the United States District Court for the Middle District of Florida, and the United States Court of Federal Claims in Washington, D.C. In addition to representing Maglio Christopher & Toale, P.A. clients in complex litigation, Ms. Unkel also represents athletes, coaches, and teams in the business of sports.